these cowls ship once an order has been received! 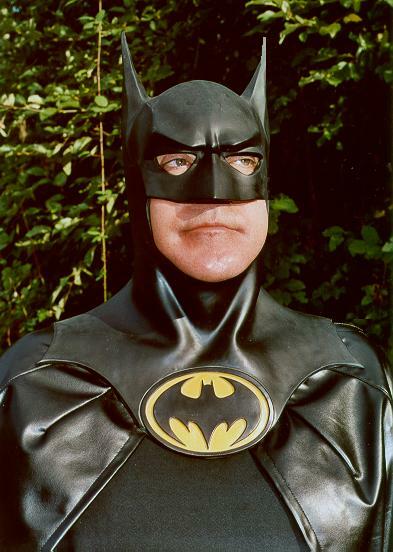 Flawless Hollywood quality Bat Armour. 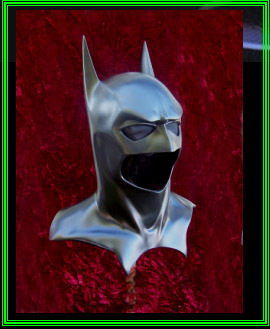 These beautiful cowls are finely crafted by professional make-up special effects artists. Cast from fiberglass molds with a specially formulated heavy latex. There is never any distortion, blemishes or rough uneven surfaces. 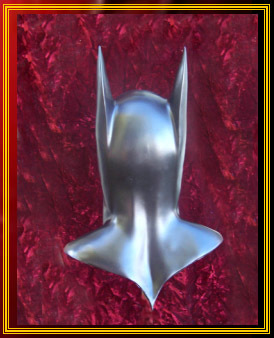 Each cowl is as smooth as glass. Pigmented with a heavy polyvinyl topcoat the color will never fade. No mold seams, no splits in back and the ears will not sag. Each screen accurate cowl comes with a signed & numbered COA. And that's not all, as a special added bonus you will receive your choice of either an '89 or '92 bat symbol with your cowl. Please allow 4-5 weeks prior to shipping. 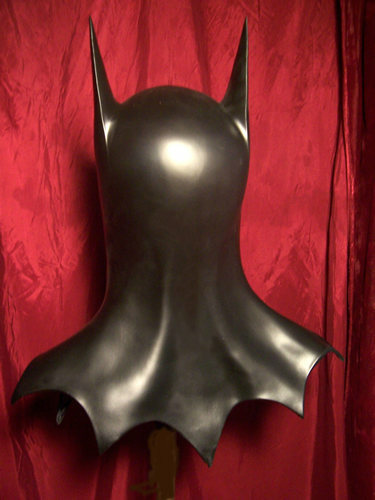 Flawless Hollywood quality Bat Armour. 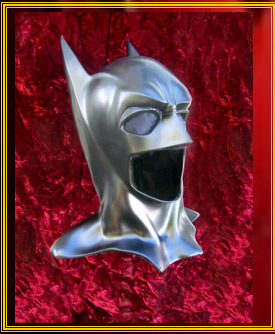 These beautiful cowls are finely crafted by professional make-up special effects artists. Cast from fiberglass molds with a specially formulated heavy latex. There is never any distortion, blemishes or rough uneven surfaces. Each screen accurate cowl is as smooth as glass. Pigmented with a heavy polyvinyl topcoat the color will never fade. No mold seams, no splits in back and the ears will not sag or bow. Each cowl comes with a signed & numbered COA. 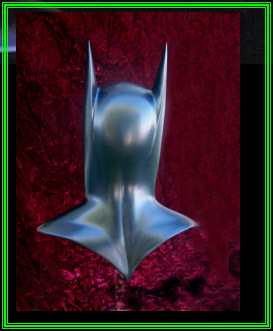 And that's not all, as a special added bonus you will also receive a '95 bat symbol in black with your choice of a gold or yellow background with your cowl. 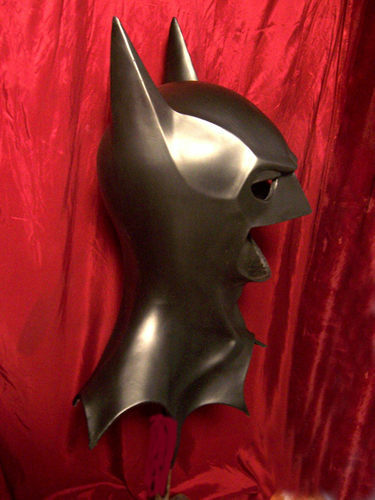 Flawless Hollywood quality Bat Armour. 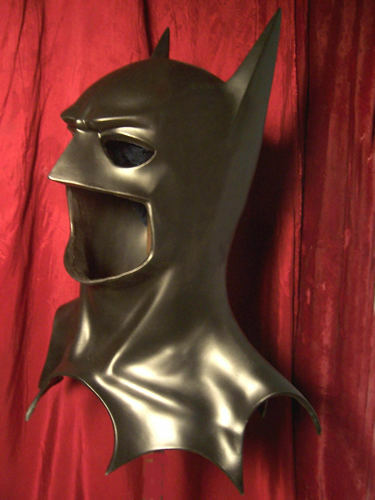 These beautiful cowls are finely crafted by professional make-up special effects artists. Cast from fiberglass molds with a specially formulated heavy latex. There is never any distortion, blemishes or rough uneven surfaces. Each screen accurate cowl is as smooth as glass. Pigmented with a heavy polyvinyl topcoat the color will never fade or crack. No mold seams, no splits in the back, and the ears will not sag or bow. 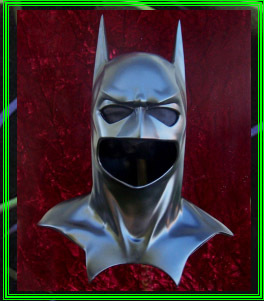 Each cowl comes with a signed & numbered COA. And that's not all, as a special bonus you will also receive a '97 bat symbol in black with your choice of a black or yellow background. These cowls are not to be confused with the new cheap cowls by Rubies that rip apart when you put them on! 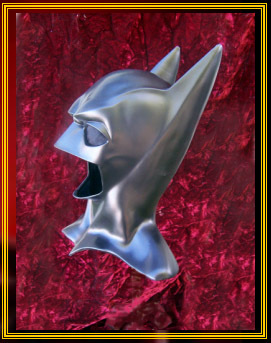 The 1992 Cowls are, arguably, the most accurate, mass produced, cowls to date. These are new and still have the original tag attached. !992 cowls are no longer in production. 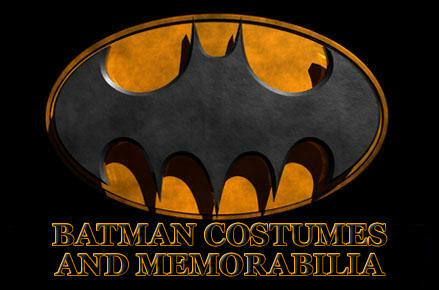 NO RETURNS OR EXCHANGES ON BATMAN COSTUME ITEMS. Cowl has no seam in back!